This fund consists of $5,000 annually, for up to four (4) consecutive years, to help a student further their education in the natural resources discipline. Applicant must be a full time resident of South Carolina and a senior in a public or private high school in South Carolina. Recipient must attend an institution of higher learning in South Carolina. Recipient must have a major in the natural resources discipline such as: wildlife biology, fisheries biology, forestry, marine science or environmental science to qualify. (NOTE: General biology, pre-medical biology and veterinary science are NOT eligible for this scholarship.) Applicant must submit an essay, autobiography, transcript of high school grades, college board scores, rank in high school class, and recent photo along with application. Recipient must maintain a GPR of 2.5 or above for a given academic year to receive funds for the following year. If the GPR falls below the 2.5 average for any academic year, the student will not receive any further funds, and a new recipient will be sought. Visit the Hampton Wildlife Fund website. This scholarship consists of $2,000 annually, for up to four (4) consecutive years, to help a student further their education in print or photojournalism, advertising, public relations or mass communications. Recipient must declare a major in electronic, print or photo \journalism, advertising, public relations or mass communications to qualify. Applicant must submit an essay, autobiography, transcript of high school grades, college board scores, rank in high school class, and recent photo along with application. This scholarship consists of a $2,000 scholarship awarded annually to a S.C. resident student to attend an institution of higher learning in the state with a major area of study in law enforcement/criminal justice/forensic science. This is a one-time scholarship. private high school in South Carolina. Recipient must enroll in a major in law enforcement / criminal justice / forensics / forensic science to qualify. This scholarship consists of a $2,500 scholarship awarded annually to a S.C. resident student to attend an institution of higher learning in the state with a major area of study in wildlife, fisheries, forestry, biology, zoology, marine science or environmental science. The recipient must have a major in the natural resources discipline such as: wildlife biology, fisheries biology, forestry, marine science or environmental science to qualify.  SCDNR affiliated programs like the Harry Hampton Wildlife fund, the National Archery in the Schools Program, South Carolina Evirothon, and SCDNR Youth Sporting Clay competition award scholarships each year. Check out what scholarships are available! SCDNR recently held the state’s 2017 sporting clay tournament at the National Wild Turkey Federation’s (NWTF) Palmetto Shooting Complex in Edgefield. Nearly six hundred high school and middle school students competed, and 60,000 rounds were fired. During the awards ceremony, many college scholarships were awarded to graduating seniors. In partnership with industry and private sponsors, to date $49,000 in scholarship money has been awarded through the SCDNR’s youth sporting events this year. The South Carolina National Archery in the Schools Program (NASP) has been extremely successful. There are 358 schools participating with approximately 50,000 fourth through twelfth grade students. This year the state tournament was held in Sumter, and 1,100 students shot over a three-day period. Graduating seniors were awarded $34,500 in college scholarships. More than 1,700 students (4th through 12th grade) shot in seven regionals across the state to qualify for the State Tournament.